It's inevitable: one glove of a pair gets misplaced and the remaining one is totally useless! 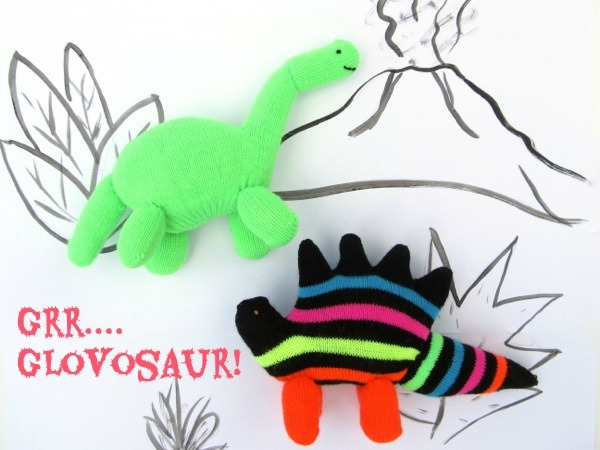 No problem, because with this glove animal tutorial you can turn them into adorable “Glovosaurs”! A great hand-sewn upcycling project, this Apatosaurus and Stegosaurus are perfect for the little hands of young dinosaur fanatics! Here's the glove animal tutorial.